Have a great Smoky Mountain family vacation or girlfriends getaway in the “Bright & Airy” 4 bedroom condo #WP614 with complimentary Wi-Fi. Mix up some fun in the full kitchen and eat in the dining room or on the large private balcony. Whether you prefer to relax indoors or out, you’ll find no end to the comforts in this condo. The living room has a flat screen TV and fireplace, sofa, rockers and recliner, and each bedroom has a king bed and TV. Not only does the master bedroom have a Whirlpool tub, but so does one of the other two bathrooms. Very very clean and spacious. The only thing we talked about as a whole along with some other guest is, it would have been nice if the resort offered scooter rentals to their guest, That way we wouldn't have to keep walking up a d down a big hill like that then down the strip. Just a suggestion over all stay amazing. As always, great stay. We rent several condos each year for a youth conference. The rooms are very spacious and well appointed. They never look run down and they are well stocked with linens and kitchen supplies. Very clean. Front desk is typically great to work with. We like your comment, "always great stay". We appreciate your bringing your group to stay with us for the youth conference and hope they have a wonderful time as well. We look forward to your return visits. "Good as always" are sweet words to our ears. We appreciate your patronage, excellent review, comments, and look forward to your many return visits. Thank you for staying with us for your October getaway. We appreciate your patronage and hope that you are able to visit us again soon. This place was conveniently located. Easy to get to. Close to everything! Very clean, fresh smelling! Beds comfortable. Plenty of towels and dishes for cooking. Loved the jacuzzi tubs. Nice balcony. Service was great! No issues at all . We will definitely stay again! Awesome comments! We greatly appreciate them and look forward to your return. It was a great family memory ! Never forget ! Got to the room my dad two sisters and brother could not believe how huge the condo was clean the bedrooms were spacious everything was expllatory it was relaxing it was like being in the woods but you were in town close to everything loved it ! It thrills us when a family like yours has such a wonderful time making vacation memories that will never be forgotten. We appreciate your visit, comments and review and look forward to your return. My Mother and her Brothers and sister have been coming here for over 25 years. This place has always been great. Very clean and ease to get to things. Will all way come back. Thank you for your excellent comments and review. We appreciate your patronage, glad you had a great time and look forward to your continued visits. Thank you so much for choosing Whispering Pines for your girls outing! It is just music to our ears to hear how much everybody enjoyed the stay and the amenities. We greatly appreciate you and welcome everybody back to stay with us again soon! Love Whispering Pines!! First time staying in Building 6. Room 614 was nice, lots of room for the 7 of us. Great location for someone that has trouble walking with a bad knee. It was right off the parking lot it was wonderful. I do admit I miss my city view but needed the space a 4 bedroom gives. We have been staying at Whispering Pines for over 15 years and love it. We will be back soon I hope!! Thank you so much for continuing to stay with us at Whispering Pines! We are happy to hear that you all had a great stay in condo 614 and that you enjoyed the easy access this unit delivers to our guests. We appreciate you and thank you for taking the time to write this wonderful review. We welcome you to stay with us again the next time you're visiting our beautiful area! Very nice, clean and relaxed. It was quiet. the pool and lazy river was great for the family. Thank you for staying with us at Whispering Pines! We greatly appreciate you and your family choosing us for your mini vacation. We're so happy you enjoyed the condo and amenities! We welcome you back to stay with us again very soon. Thanks for choosing to vacation with us Karen. We appreciate you! Come back again soon. The condo was clean & spacious!! Everything was provided for us!! This was the first time we had stayed in the 4 bedroom condo. I would recommend it highly to anyone who needed this much space. Perfect! So happy you all enjoyed yourselves and we appreciate you staying with us! We hope you all will come back and see us again soon! Took our 18 grandson and his friend that was also 18 for a long weekend. We all loved it. Condo clean and worked great for all 4 of us. The boys were able to walk to pretty much on the strip that they wanted to. Awesome! Happy New Year! We are happy you all enjoyed this festive time of year and we look forward to seeing you all next time you are in town! The Condo was Amazing! I love it! It was very clean but it was a little dated. The living room needed an update. This was not an issue though. Me and my friends thoroughly enjoyed everything about this vacation. The kitchen was fully stocked and we just enjoyed Everything! Hope you all made many fun memories will celebrating Sherrie's Birthday! Thanks for choosing to spend it with us and we certainly hope you each choose to vacation with us the next time you are in Pigeon Forge. 5 stars. Great location, great amenities, great staff. After a cabin rental disaster Staff at Whispering pines saved our vacation. They treated us like family. The condo was clean and absolutely wonderful. We will certainly be booking at whispering pines again. The facility is central to everything you could want to do. Thank you so much the kind words! We were happy to help you all in your time of need. Hope you all take care and come back and see us next time you are in town! We had a fun and relaxing stay! A nice fully equipped kitchen, nice big bedrooms, a good sized deck, private! 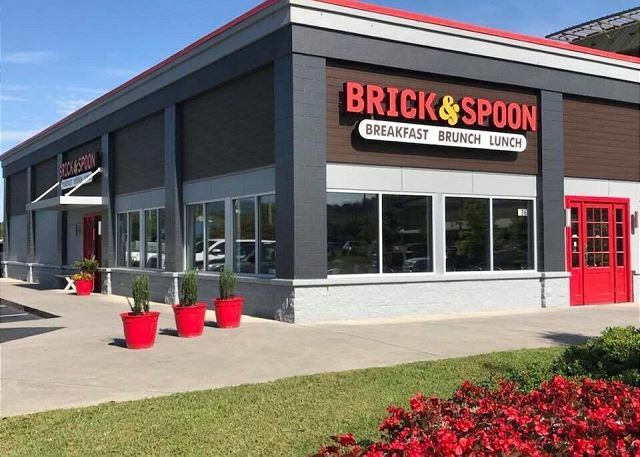 Great location to pigeon forge parkway and attractions! The kids enjoyed the pools and lazy river and older kids took advantage of the fitness room and movies! Thrilled to hear you and your family enjoyed your trip with us! Glad the kids enjoyed the property amenities and the free movies. Hope ya'll made many memories and we hope you choose to stay with us again the next time you are in Pigeon Forge. Thank you for staying with us at Whispering Pines Resort. We are glad that you enjoyed your stay and felt right at home. We appreciate your review and hope to see you again soon. Great! Thank you for staying and please come back anytime! ENJOYED OUR STAT VERY NICE STAFF. Thank you for the kind words! We appreciate you! Come back and sit a spell next time you are in town! This property was the best I have ever stayed with and I enjoyed it dearly. I hope the discounts continue so I can continue to stay at these properties. The only issue arrived when using the hot tub the hot water ran out quickly for the entire unit. Great! We are happy you enjoyed your time with us and I am sure the discounts will continue in one form or another depending on the time of year. Hope to see you with us again soon! We loved staying at Whispering Pines. It was clean and we all felt right at home. We will definitely make this the place we stay for our quilting getaway next year! Thank you for choosing Whispering Pines for your quilting getaway. We love hearing that you love staying with us and that it feels like home, its the best compliment we can receive. We appreciate your review and look forward to seeing you again soon! Thank you for being a loyal guest with us at Whispering Pines. We appreciate you and look forward to seeing you again soon! Marina H from Antioch, TN does not recommend this vacation rental. Had a great family time at this location. Condo was clean but needs some updating. Thank you for staying with us at Whispering Pines Resort. We are glad to hear that your family had a great Christmas getaway while visiting with us. We will contact the condo owner in regards to your suggestion of updates to the condo. Thank you for your patronage and review. We hope to see you again in 2017! You are right. 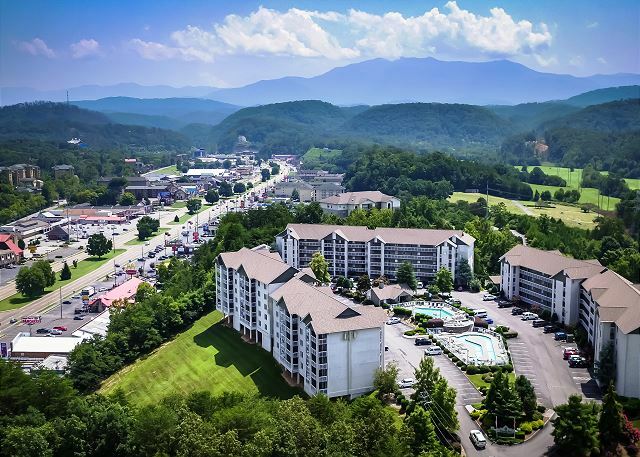 All three of our properties are very conveniently located to everything that Pigeon Forge, Gatlinburg, and Sevierville have to offer. We appreciate your staying with us and look forward to your return. Made my reservation on line and everything I was told or saw on line was very accurate. We had a beautiful 4 bedroom condo beautifully furnished and very clean. The staff was very friendly and accommodating; met our every need with a smile. The location was great; convenient to everything in Pigeon Forge. Will definitely recommend to friends and family. Thank you for staying with us at Whispering Pines Resort. We are glad that you found that all details of the condo was accurate from our website and from what you were told by staff. Condo 614 is a beautiful condo, the owners will love that you enjoyed their home. We certainly appreciate your kind comments regarding our staff and our resort. Thank you for your recommendations and we look forward to seeing you again soon! WE HAVE STAYED IN THIS CONDO BEFORE AND LOVED IT, SO WE DECIDED TO STAY FOR MY BIRTHDAY WEEKEND IN THE SAME ONE. Thank you for being a loyal guest and Happy Birthday! Hope you come back again next year! Very nice condo. Great location, right in middle of all different kinds of activities. We needed to leave one day early and were told there are no refunds, no exceptions. I was disappointed in that because each night was very expensive. But no complaint about facilities and pools, etc. Pretty good place for family reunion. Thank you for the review and the feedback! If you purchased travel insurance you can get a partial refund if you qualify! Thank you for choosing us for your family reunion and we hope you will stay with us for the next one! We love Whispering Pines - we are return visitors and this time, as always, the condo was beautifully decorated, clean, and so very inviting. Having a great place to stay is the most important part of vacation!! We love that you love staying with us as much as we love having you as our guest. Thank you for being a loyal guest with us. Thank you, Thank you for your wonderful review and we look forward to seeing you next visit. We are so happy to hear that you had an awesome stay with us and enjoyed our four bedroom condo. Thank you for your thoughtful review. We appreciate you and look forward to your next visit with us. Thank you for staying with us at Whispering Pines. Cleanliness is on the top of our priority list. We appreciate your review and look forward to your next visit. WONDER DAYS OF RELAXATION WITH THE FAMILY. We are glad to hear that you enjoyed your stay in condo 614. We will contact the condo owner in regarding to your suggested updates. Thank you for staying with us and we hope to see you again. Every time we visit this facility we're reminded of how comfortable it is to stay here. The folks who work here are easy to talk to, listen well, and are very helpful. We look forward to coming back next year! Thank you for your wonderful review! We are pleased to hear you continue to enjoy your stay at Whispering Pines and that our staff continues to provide exceptional customer service. That is something we strive for with all of our guests. We appreciate you and look forward to your next visit. blinds in master bedroom need to be replaced it was like daylight all night also everyone's bed was squeeky. Thank you for your feedback. We will be sure to pass this information along to the homeowners of the condo unit. Thank you for staying with us and we look forward to your next visit. Thank you for choosing Whispering Pines for your recent stay in Pigeon Forge. We are so pleased to hear that you and your family enjoyed your stay. We hope that you made lasting memories while staying with us. Thank you for your review and we hope to see you again soon. very good time with kids and grandkids. We are happy to hear you enjoyed your stay with us at Whispering Pines! We look forward to your next visit. as always our stay at wp is great. Had a squeaking bed in master bedroom. we will always stay at wp. staff is great, ben staying here for years. we always recommend wp to our friends. Thank you so much for your wonderful review. We will check out the master bedroom bed, thanks for letting us know. We really appreciate your kind comments regarding the staff and for recommending us to your friends. We hope to see you again soon. We had a couples retreat and rented six condos and all couples raved about how nice the condos were and how convenient to everything. I heard no complaints except they wished we could have stayed longer. Would rent one of the condos for my personal family. We are so glad all of you enjoyed your stay and we look forward to seeing you in the future! We had a great time . Room was as described . Thank you for you time to write a review. We appreciate all feedback and we hope to see you again! We have stay at Whispering Pines for the past five years and love it. It is so convenient to everything and very clean. We plan to stay next year also. We will be looking for you next year! Thanks for your continued business!